John Salzman Jr., Fred Wasserloos and George Greenwalt’s Limited View, set to make her first start in nearly two months, is among a quartet of stakes winners in a field of eight that will line up for the $75,000 Alma North Stakes Saturday at Laurel Park. The seven-furlong Alma North for 3-year-old fillies is carded 11th on a 12-race program and kicks off the summer stakes schedule at Laurel, whose current meet began June 1 and runs through Aug. 19. First race post time Saturday is 1:10 p.m.
Limited View, a Maryland-bred daughter of Freedom Child trained by Salzman, has not raced since finishing seventh in the six-furlong Primonetta Stakes April 21 at Laurel. 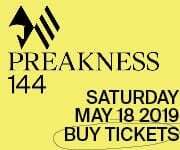 She was entered in the Adena Springs Miss Preakness (G3) on the Black-Eyed Susan (G2) undercard May 18 at legendary Pimlico Race Course, but scratched because of the weather. Also factoring in the decision was keeping Limited View at Laurel, where she has made eight of her nine career starts, five of them wins, including the 2017 Maryland Million Lassie and Maryland Juvenile Filly Championship and six-furlong Marshua Jan. 27. Last summer at Saratoga Race Course, Limited View had to be scratched from the Schuylerville (G3) due to bad behavior in the paddock and had her performance compromised by a bad start in the Adirondack (G2), where she finished sixth. Limited View worked a bullet five furlongs in 59 seconds May 26 and came back with a half-mile breeze in 48.40 seconds June 9, both with Hall of Fame jockey Edgar Prado, her regular rider who returns to the irons after missing the Primonetta with commitments out of town. They will break from Post 6 at co-highweight of 122 pounds. “At this point everything’s good. Do I wish it was three-quarters rather than seven-eighths because I’ve been off so long? Sure I do, but you can’t get everything you want,” Salzman said. “She’s really matured. She’s put a lot of that stuff behind her now. She loves to train. Sharing highweight with Limited View are multiple stakes winner Almond Roca and a pair of stakes-winning New York shippers, Elevenses and Split Time. Almond Roca, trained by Fair Hill-based Graham Motion, won a pair of sprint stakes at Tampa Bay Downs over the winter by 10 ¼ combined lengths but was eighth over the sloppy, sealed track in the Miss Preakness last out. Laurel’s winter-spring meet-leading rider Jorge Vargas Jr. has the call from Post 8. Joseph Shields Jr.’s Elevenses won back-to-back starts 20 days apart in March at Gulfstream Park capped by the six-furlong Any Limit Stakes, both since adding blinkers, and most recently ran second in an off-the-turf edition of the seven-furlong Soaring Softly (G3) May 19 at Belmont Park. Sheldon Russell will ride Elevenses from Post 3. 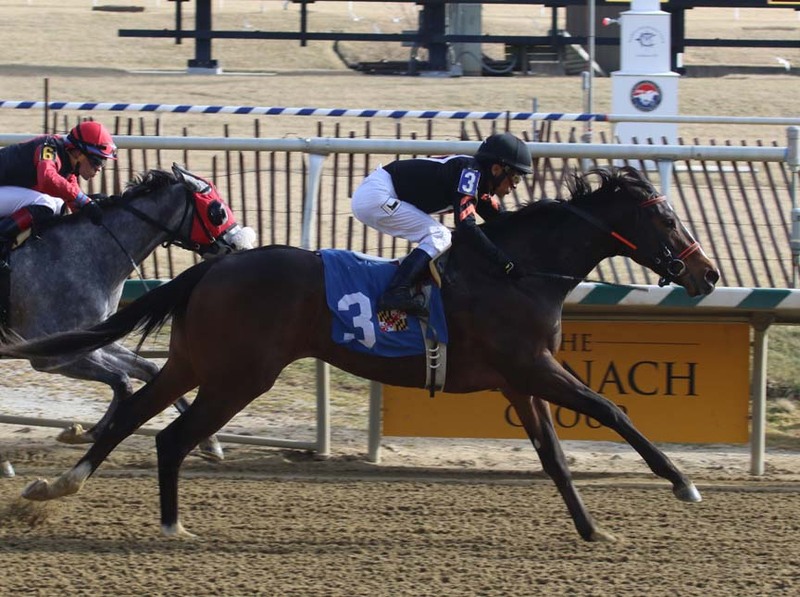 Tic Stables’ Split Time, trained by 2017 Laurel winter-spring meet co-champion Linda Rice, exits a third-place finish in the seven-furlong Bouwerie Stakes May 28 at Belmont Park that followed three consecutive wins going a mile at Aqueduct, capped by the Maddie May Stakes March 24. This will be the New York-bred Take Charge Indy filly’s first time in open company. Horacio Karamanos will be aboard Split Time from Post 4. Entered to make her 3-year-old debut is Dark Hollow Farm, Dorsey Brown, Mr. & Mrs. Arnold Davidov and Mr. & Mrs. David Schwaber’s Caught Dream’n, a dark bay or brown daughter of Blame that has not raced since being beaten a head by subsequent Grade 3 winner Take Charge Paula in the Smart Halo Stakes last November at Laurel. Caught Dream’n has been working steadily at Laurel for her return. Second in her career bow last September, she came back 16 days later to break her maiden by two lengths as the favorite. Feargal Lynch rides for the first time from Post 1. Completing the field are Aggregator, third in Laurel’s seven-furlong Wide Country Stakes Feb. 17; Jump Ruler and Norma’s Charm.